The iconic foundation is now called the Bill, Hillary, and Chelsea Clinton Foundation and is tackling the challenge of raising an endowment of between $200 million and $250 million. Why the changes? The Clinton Foundation is expanding its priorities from Bill Clinton’s international concerns of AIDS and global poverty to include the domestic concerns of Hillary and Chelsea, particularly programs on early childhood education and women’s and girls’ empowerment. An expanded philanthropic agenda and a capital campaign for an endowment combine to comprise a big fundraising challenge, the timing of which, if it is too prolonged, might conflict with fundraising for Hillary Clinton’s all-but-inevitable 2016 presidential campaign. 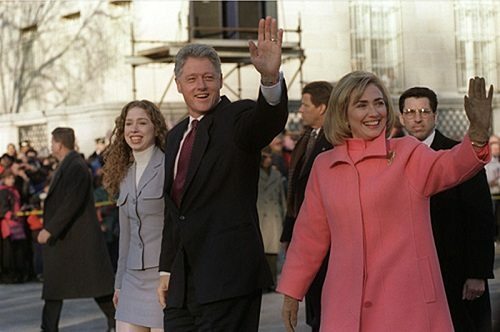 The intersection of the Clintons’ foundation and Hillary Clinton’s presidential run has generated a spate of articles suggesting that the renamed and expanded foundation is really now a “pre-campaign organization” for the campaign and is becoming “the command post for all things Hillary.” Given the involvement of the Clintons, it is all but assured that anything involving Bill and Hillary, with Chelsea as a kicker, will be the stuff of controversy. If you were someone who wanted to get in good with someone with a decent shot of becoming the next president, you might show up at one of the upcoming fundraisers associated with Hillary or Chelsea, such as the scheduled November 9th “Millennium Network” event, with top-tier $15,000 donors getting themselves photographed with Hillary herself. Unless the nation legislates politicians out of philanthropy, the ex-president’s name on the foundation will always be a big draw, and now the association with a possible future president’s name probably makes the foundation nearly irresistible to donors. Although the ex-president has attracted some raised eyebrows due to the character of occasional donors (notably Canadian mining magnate Frank Giustra, who received some personal benefits from his association with the former president) and questions about some of his foundation’s initiatives, no one doubted the seriousness of Bill Clinton’s philanthropic intentions. However, the new foundation with Hillary on the nameplate has garnered new scrutiny, including an in-depth article in the New York Times co-authored by Nick Confessore and Amy Chozick. The NYT reporters wrote about the ever-increasing size of the foundation (now with 350 employees), a constantly changing board of various Clinton intimates, $50 million in travel expenditures since 2003, operating deficits in 2007 and 2008, reported tensions between key foundation leaders such as Ira Magaziner and Douglas Band, and hints of conflicts of interest concerning Band, who has left the foundation to start a private consulting business—not to mention Hillary Clinton’s expanding “nerve center” of staff, which occupies two floors of the foundation’s Midtown Manhattan offices. It might have been Times columnist Maureen Dowd’s additional column on the Clinton Foundation (“If Americans are worried about money in politics, there is no larger concern than the Clintons, who are cosseted in a world where rich people endlessly scratch the backs of rich people”) that put him over the edge, but journalist Joe Conason (known as a strong defender of the Clintons, from his 2000 book The Hunting of the President: The Ten Year Campaign to Destroy Bill and Hillary Clinton unleashed a scathing critique of the Times coverage of the foundation. Conason described the Confessore/Chozick article as “a front-page article ominous in tone, rife with insinuations and gossip, and distorted by major errors,” reminding his readers that it was the New York Times had been the original outlet for the “journalistic disgrace” that he described as “the phony Whitewater ‘scandal’.” He dismissed the Times’ criticisms as reliant on “unflattering largely irrelevant anecdotes” and Dowd’s column as filled with “bizarre assertion(s)”. The Times reporters highlighted the foundation’s operating deficits, which President Clinton himself answered in an open letter posted on the foundation’s website: Due to nonprofit financial accounting rules (which NPQ readers know as FASB 116 and 117), the foundation (a public charity, not a private foundation) has to book its grants fully in the year they are received, even if they are granted by the donors for a multi-year period. Truth be told, columnists like Dowd hold something of a permanent fixation on the facts and foibles of the Clintons, some of which they have brought on themselves. Conason’s reminder to look at the good accomplished by the Clinton Foundation is worthwhile. He is also probably on target in suggesting that staff disagreements such as the reported tussles between Band and Magaziner are hardly unusual. However, Conason’s suggestion that the foundation’s corporate donors signed on with Band’s consulting firm largely because they were impressed with his work at the foundation is a little hard to swallow. For all the donors who may be contributing to the foundation for its good work on global health, there are plenty who are plying the foundation for access to the Clintons and their associates, and Band is as close to the former president as any, according to the Confessore/Chozick piece. The business and political overlaps show up with Band’s company, Teneo, which seems to have employed Huma Abedin while she was a “special government employee” at the State Department while Hillary Clinton was secretary; the wife of former congressman and current New York City mayoral candidate Anthony Weiner, Abedin works for Hillary Clinton and has been named by her husband as a likely key staffer in the former Secretary’s as-yet-undeclared presidential campaign. Conason’s dismissal of concerns about Band’s Teneo is particularly surprising if the New York Times’ reporting is accurate, given the firm’s significant monthly payment from the foundation and the firm’s payments to Bill Clinton in his role as advisor to the company. Teneo’s role as a $125,000-a-month advisor to Jon Corzine’s MF Global, the brokerage firm that collapsed in scandal in 2011, apparently led to the former president ending his role with the company in 2012. Conason writes that these are merely hints of conflict of interest, but it reads like a story worth some deeper investigation. Given the multi-year nature of presidential campaigns, the Clinton Foundation’s restructuring to officially include Hillary Clinton in its structure, direction, and programming means that journalists will be looking into the foundation’s political dimensions between now and November 2016, regardless of the sharply divergent attitudes of Dowd and Conason about the Clinton family.